Mockup Zone proudly presents the world's most comprehensive and high quality cosmetic products and elements mockup pack. Tons of different packages and awesome items that fit great with each other. 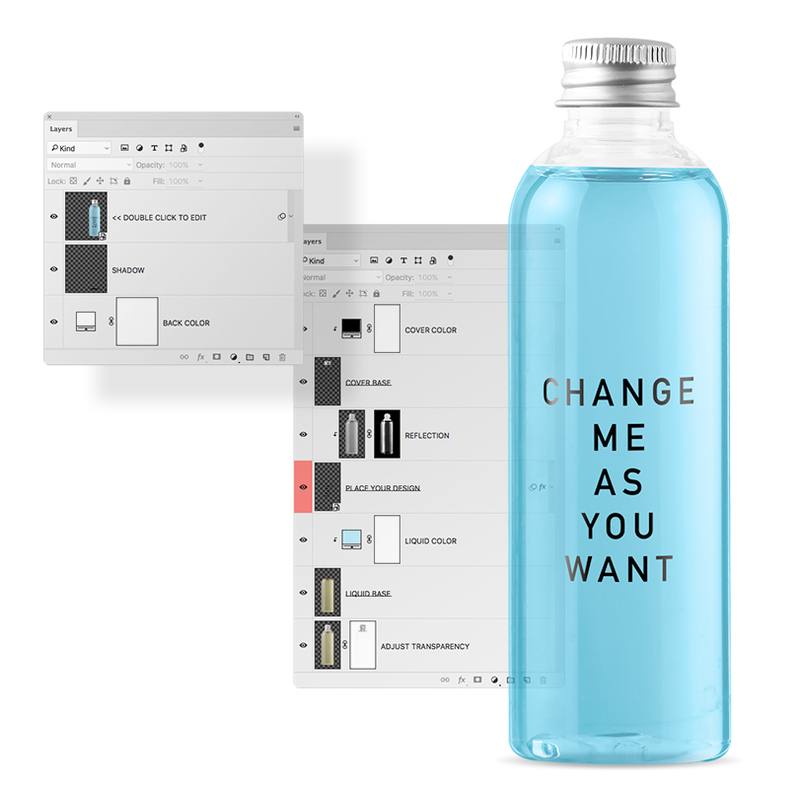 Completely customizable bottles, sprays, dispenser bottles and many more different types of packages all in one. Also all of them come with top and front views. You can create unlimited presentations with different views of the same label design. Various packages from top view that you can use for your banner designs, hero images and many other usages. Easily customize them, drag and drop to your scene and create limitless compositions in seconds. Edit label designs, change liquid colors, adjust shadow opacity, rotate, scale and place them on your own scene. Tons of different cosmetic products that you can use along with other packages or in your own design. They fit great with your cosmetic or beauty related projects. Fully transparent backgrounds and adjustable shadow layers. Same elements from front view that you can edit their label designs, liquid colors, replace caps and drag and drop them right into your canvas. And also you can play with reflections and shadows of the elements. Fit great with front view mockups. You can decorate your presentations with them. Again you can drag and drop, scale, move around and add depth of field to these elements and use them in your scene and get awesome realistic results. We've created many pre-designed scenes with just dragging and dropping items next to each other. We are sure you can create better ones. We've shot many photos of various packages and items from different angels to help you create high quality and realistic presentations, to showcase your awesome products. You can customize label, surface textures and play with shadows & lights. All MockUp elements have front and top views, most of them are included in the perspective mockups. Customize surface textures and label designs as you wish. Adjust shadow opacity, play with reflections and shadows of the elements. Get realistic results just like you are taking a photo. Select any elements from top view, drag & drop into your canvas, change position, rotation, size, label design, surface textures. Adjust shadow opacity, play with lights and reflections of the elements. Select any elements from front view, drag & drop into your canvas. Change position, size, label design, surface textures. Adjust shadow opacity, play with lights and reflections of the elements. If you know a little Photoshop, you can easily customize your design. Well organized and labeled layers. No need for guidelines, just follow the layer names. All mockup items are photo realistic to give you the best quality for your product presentation. 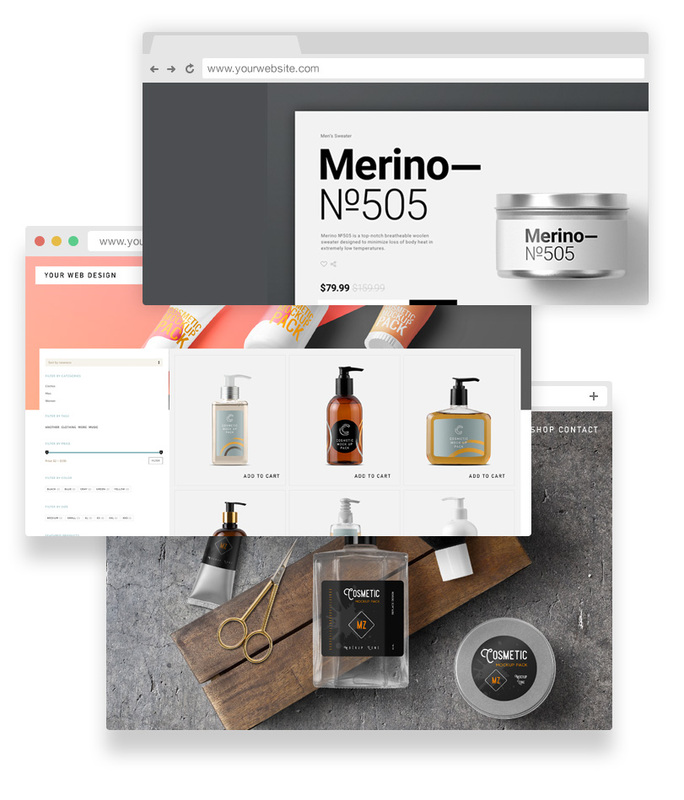 If you are a web designer or theme developer, you can use our mockup items to promote your demos to your customers. Use them in your personal or commercial projects.